Epwin Window Systems has further strengthened its sales management team with the appointment of Katrina Earl as Head of Sales. Katrina has been working within the Epwin business for the past four years and takes up her new position with immediate effect. In her new role, Katrina will be responsible for the external sales team and will be instrumental in helping drive new sales opportunities for the vast range of products available from the Epwin Window Systems’ stable. 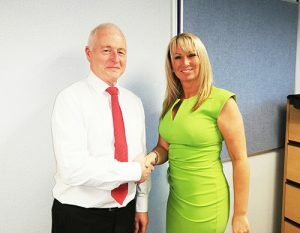 Katrina reports to Paul Lindsay, Sales Director of Epwin Window Systems. Commenting on Katrina’s appointment, Paul said: “Katrina is a well-respected and popular member of the Epwin Window Systems team. Her abilities and commitment creates opportunities to further strengthen our market position and I look forward to working with Katrina.” Epwin Windows Systems is the UK’s largest manufacturer and supplier of PVC-U window and door systems and has some of the best-known brands in the sector: Swish, Spectus, Profile 22, and PatioMaster.